This working manual provides complete information on the technical aspects of designing, building, and maintaining waterwise landscapes in the Mountain West. Written particularly for professionals, including landscape designers, architects, contractors, and maintenance and irrigation specialists, it has an attractive, well-illustrated, user-friendly format that will make it useful as well to DIY homeowners and to educators, plant retailers, extension agents, and many others.The manual is organized according to landscape principles that are adapted to the climate of the intermountain region. Beginning with planning and design, the topical principles proceed through soil preparation, appropriate plant selection, practicalities of turfgrass, use of mulch, and irrigation planning, winding up with landscape maintenance. Designed for onsite, handy use, the book is illustrated with color images of landscapes, plants, and materials. Tables, charts, diagrams, landscape plans, plant lists, checklists, and other graphic resources are scattered throughout the manual, which is written in an accessible but information-rich style. 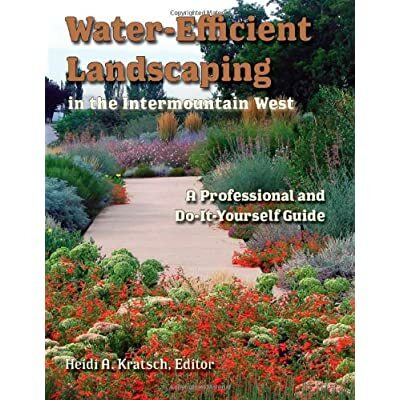 Water-Efficient Landscaping in the Intermountain West answers, more comprehensively than any other single book, the need for professional information that addresses both growing awareness of the necessity for water conservation and the desire for beautiful, healthy yards and properties.